Larry Page isn’t the only Google co-founder with an interest in flying vehicles. According to a Bloomberg report, Sergey Brin has secretly been building his own massive airship inside a NASA hanger. The report cites four people with knowledge of the craft, which is said to look like a zeppelin. The vehicle “isn’t an Alphabet project,” but there’s no word on whether it’s just an expensive hobby for Brin or the start of what might become a new business. "Sorry, I don't have anything to say about this topic right now," the Alphabet president wrote in an email. Airships are said to be a longtime passion for the billionaire, who was reportedly compelled to build his own after visiting NASA’s Ames Research Center and seeing photos of the USS Macon being constructed by the US Navy in the 1930s. Google unit Planetary Ventures took over the hangers from NASA in 2015, turning them into labs. The metal skeleton of Brin’s airship is said to fill up much of hanger 2. Alan Weston, a British-educated aeronautics expert born to Australian parents, is leading the project. In a 2013 interview, he spoke about an airship using a system of “breathing” as a fuel-efficient way to carry 500 tons of cargo. The craft could carry loads directly to their locations, rather than relying on transport centers such as airports. It seems zeppelins are once again becoming a viable method of transportation. 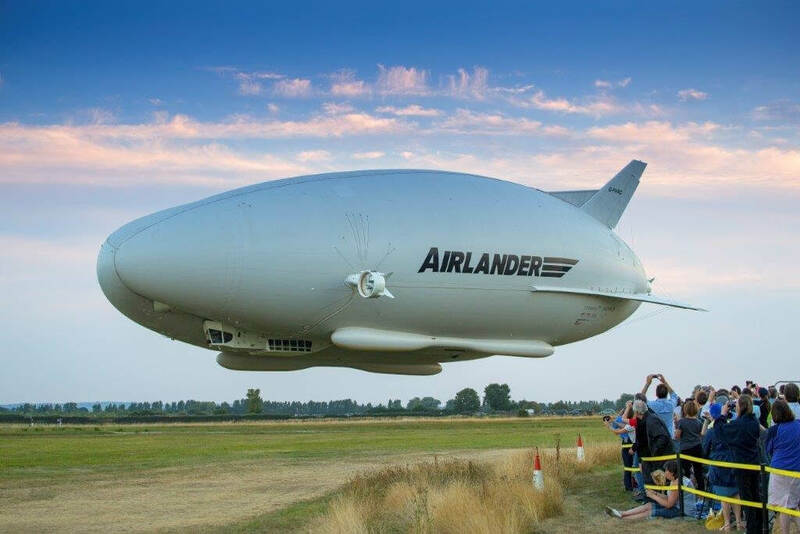 The world’s largest aircraft, the Hybrid Air Vehicles HAV 304 Airlander (above), was originally developed for the military, but the manufacturer believes it can be used for delivering goods in hard to reach locations, communications, and even passenger travel.